Marwa Elborai is a partner in the Capital Markets practice and is based in the London office. She represents both issuers and underwriters on complex corporate financings with a focus on U.S. federal securities law, leveraged finance, high yield debt offerings, general debt and equity capital markets transactions and debt restructurings. In addition, her experience includes SEC-registered and other types of initial public offerings, liability management exercises including debt tender offers and consent solicitations and general corporate matters. 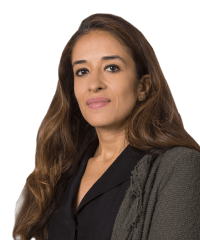 Marwa represents corporates, private equity and international financial institution clients and has advised in multiple jurisdictions across the EMEA region, with a particular focus in the Middle East, Greece, Italy and the U.K. 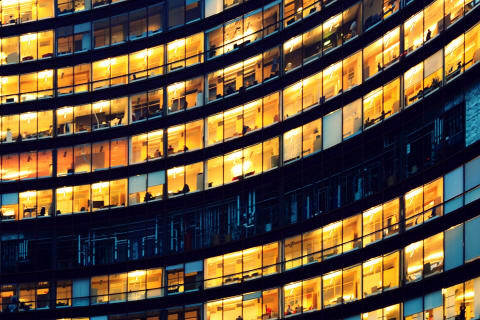 The initial purchasers in connection with Cable and Wireless' $500 million offering of 7.500% senior secured notes due 2026 by its wholly owned subsidiary C&W Senior Financing Designated Activity Company. The underwriters in connection with James Hardie’s inaugural euro-denominated offering of €400 million 3.625% senior notes due 2026. The underwriters in connection with Samsonite’s new $650 million senior credit facilities and €350 million inaugural high yield bond offering. 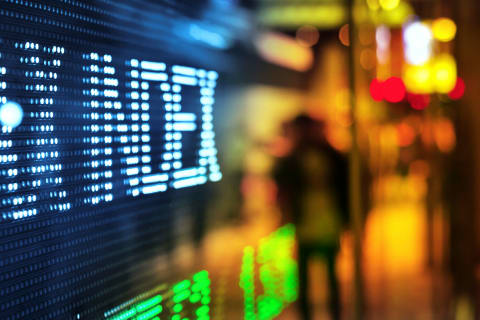 The underwriters in connection with Interxion’s €1 billion notes offering and entry into a €200 million revolving credit facility. Credit Suisse as sole global coordinator in connection with Pro-Gest S.p.A.’s €250 million inaugural high yield bond offering. Interoute Finco in connection with its refinancing of its €350 million fixed rated notes and €275 million term loan facility agreement. 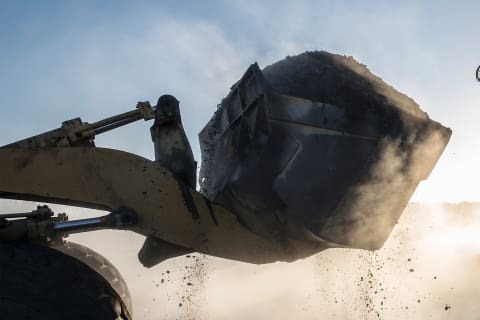 Anglo American in connection with its $1.3 billion senior notes offering consisting of $650 million 3.625% senior notes due 2024 and $650 million 4% senior notes due 2027. Frigoglass S.A.I.C. in connection with its debt restructuring, including the implementation of a scheme of arrangement under the Companies Act 2006 proposed by its subsidiary, Frigoglass Finance B.V. The Scheme related to the restructuring of €250 million 8.25 percent senior notes due 2018 issued by Frigoglass Finance B.V.
Topaz Marine S.A., a subsidiary of Topaz Energy and Marine Limited, in connection with Topaz’s offer to purchase its outstanding senior notes due 2018, and its offering of $375 million of new senior notes due 2022. The initial purchasers in connection with the US$814 million bond offering by ACWA Power Management and Investments One Limited. Anglo American plc in connection with the offering of its $300 million 3.750% senior notes due 2022 and $700 million 4.750% senior notes due 2027. Absa/Barclays, Bank of America Merrill Lynch, Deutsche Bank and JP Morgan in connection with the debt restructuring of the Edcon group. Interoute in connection with its €240 million refinancing of its floating rate notes. A syndicate of 20 investment banks in connection with GTECH’s acquisition financing relating to its acquisition of International Game Technology.At the time, the transaction was the largest bond offering by an Italian issuer in the international capital markets. The initial purchasers in connection with the offering of £200 million 6.75% senior secured notes due 2020 and £100 million senior secured floating rate notes due 2020 issued by TES Finance Plc, a wholly owned subsidiary of TSL Education Group Limited. Ziggo N.V. on its €4 billion refinancing in connection with the acquisition of Ziggo Group by Liberty Global. The initial purchasers in connection with the offering of £175 million 7.50% senior secured notes due 2021 issued by Bibby Offshore Services Plc, a wholly owned subsidiary of Bibby Offshore Holdings Limited. The underwriters in connection with Thomas Cook's €400 million high yield bond offering; and €750 million high yield bond offering. DFS Furniture Holdings plc in connection with a Rule 144A/Reg. S global and international offering of high yield senior secured notes and senior secured floating rate notes, concurrent with a tender offer. Advent International in connection with the financing of the acquisition of The Priory Group involving a high yield bond offering of £425 million of senior secured notes and £175 million of senior notes for the acquisition and the provision of £70 million super senior revolving credit facilities. Marwa is ranked as a “Leading Individual” in High Yield for Legal 500 UK 2018. They note that she “has become a key player in the practice and frequently advises issuers, sponsors and underwriters on high yield deals”. Marwa is part of the team that is ranked Tier 1 for Capital Markets High Yield by Legal 500 UK 2018. Shearman & Sterling was “Commended” in the category “Managing Complexity & Scale” in the FT European Innovative Lawyer Awards 2018, for its work on the Frigoglass restructuring. Shearman & Sterling was “Highly Commended” at the Legal Business Awards 2018 for Restructuring Team of the Year. Marwa is noted as a “Notable Practitioner” in IFLR1000 2017. Shearman & Sterling was awarded “Italian Debt Capital Markets Deal of the Year” by Legalcommunity 2016 for its work advising a syndicate of 20 investment banks in connection with GTECH’s acquisition financing relating to its acquisition of International Game Technology.